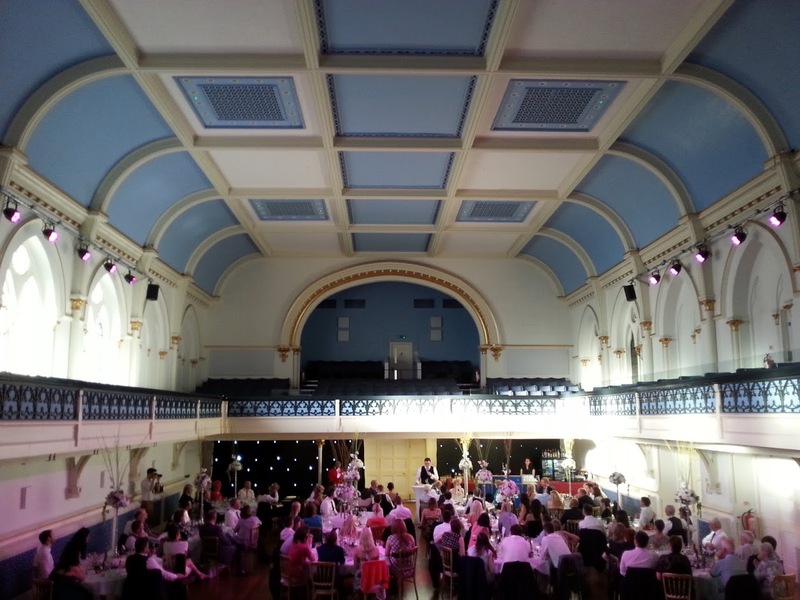 I played at two brilliant wedding celebrations in Winchester earlier this year. 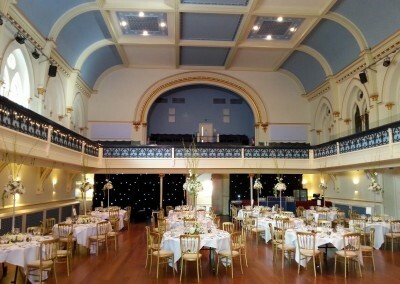 I’m sure that you have heard of Winchester Guildhall. 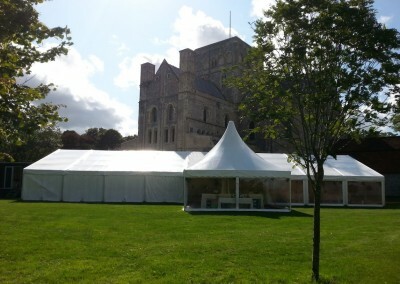 It’s a stunning venue in the centre of Winchester. 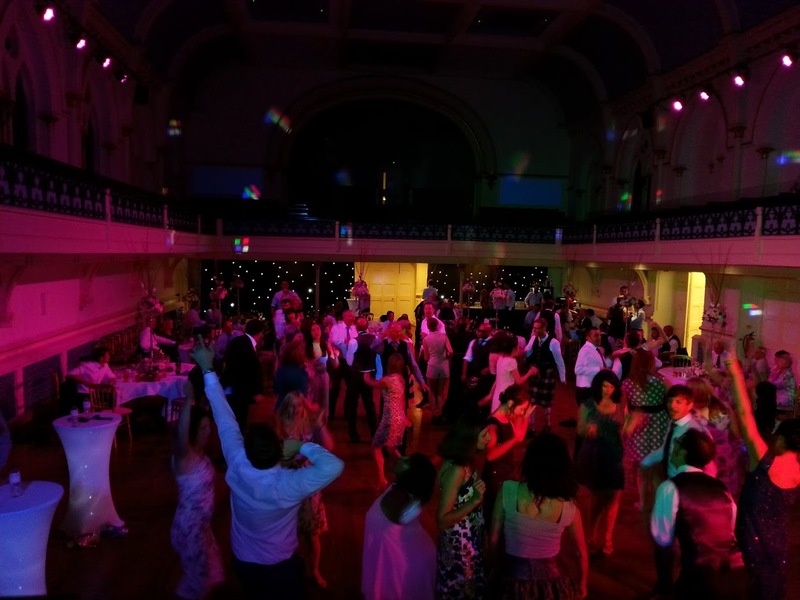 I have played at Winchester Guildhall on several occasions including wedding celebrations and a large scale student event with Scott Mills from Radio 1. 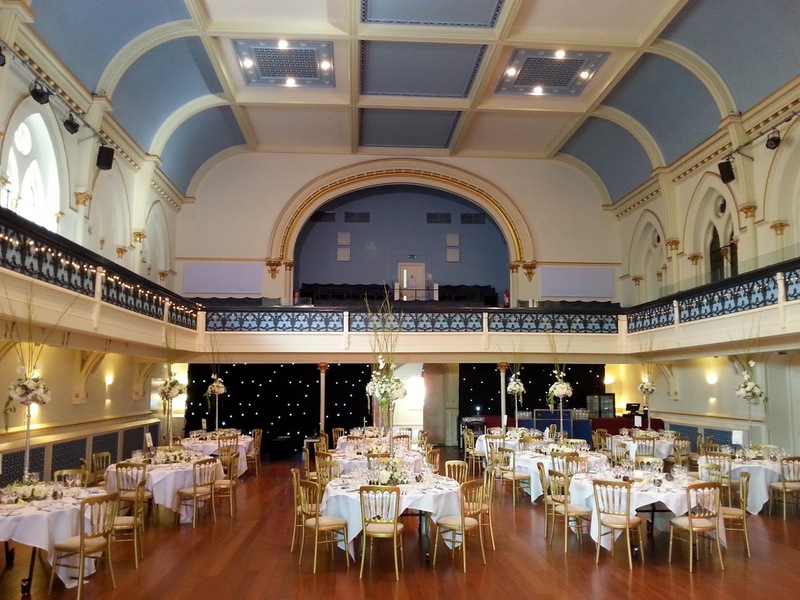 The Guildhall has numerous roooms and suites, my clients selected the beautiful Bapsy Hall for their wedding breakfast and dancing. 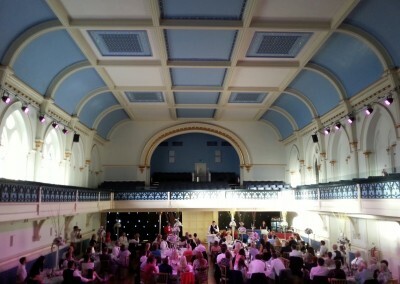 It was amazing to watch the bride and groom walk in from the balcony in Bapsy Hall to the sound of a Scottish piper. As you can see from our website, we offer an all day music option as well as the evening party. 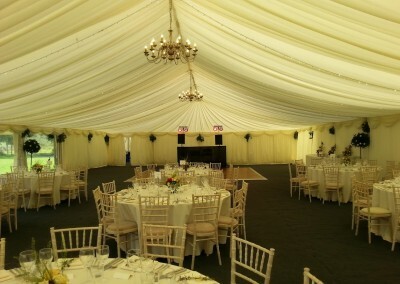 I played music during their wedding breakfast in Bapsy Hall and looked after microphones for their speeches too. And the evening party was amazing. 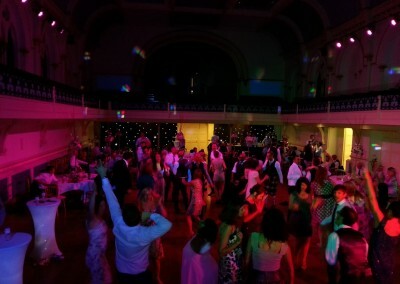 Bapsy Hall is a very large space, but as you can see from the photographs, they filled the dance floor. 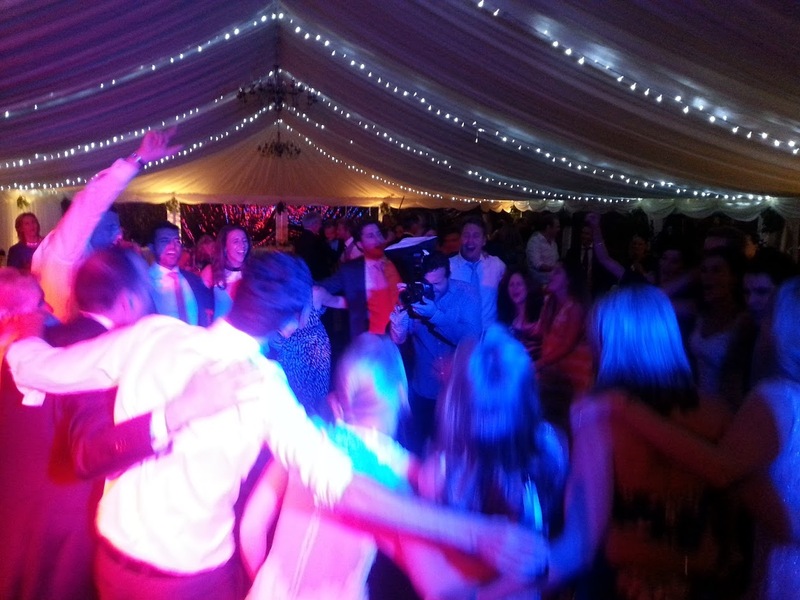 There was an infectious energy about the guests and it made a memorable night for everyone. 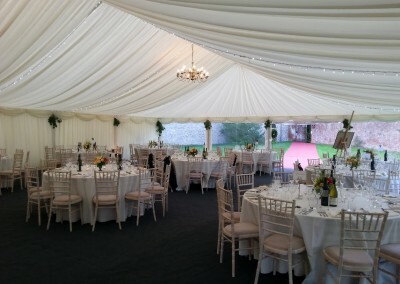 Earlier in the year, I played at a marquee wedding in the grounds of The Hopsital of Saint Cross. 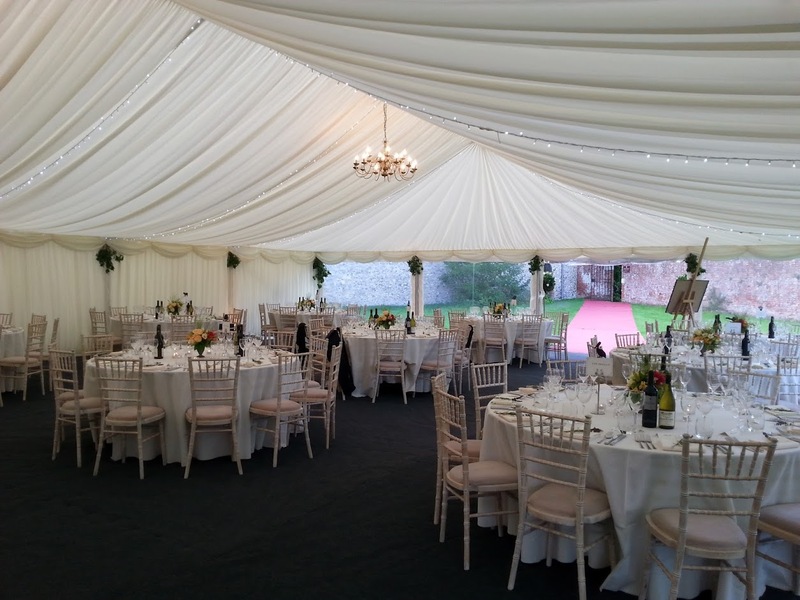 It is a truly magnificent setting, with a marquee in the grounds of the Norman church, overlooking the river Itchen. But it’s a well hidden secret. Unless you have walked along the river, you wouldn’t know that it is there. 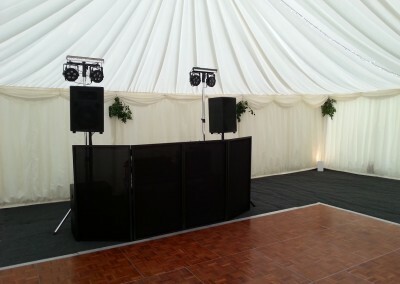 I played walk-in music as the bride and groom arrived for their wedding breakfast. Then we had low-key background music during their wedding breakfast. 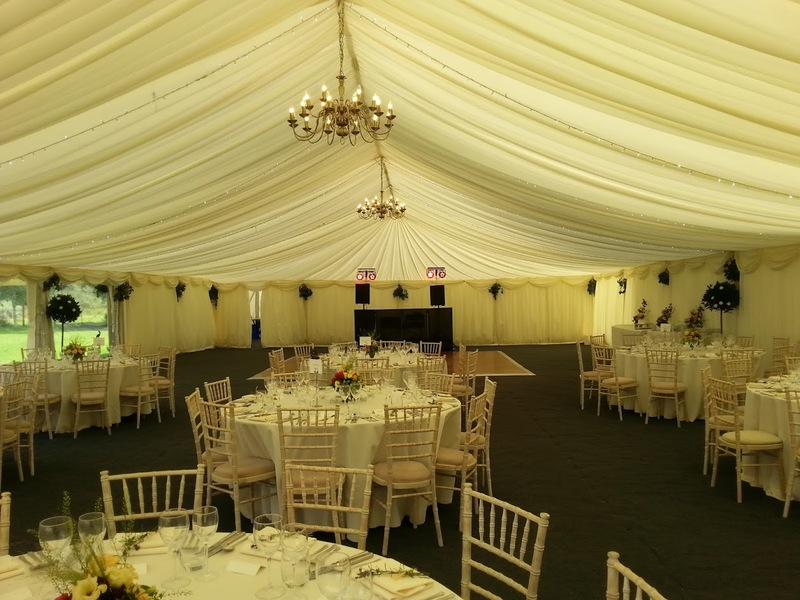 The amazing team from Jacaranda Catering looked after the food, it was simply delicious. 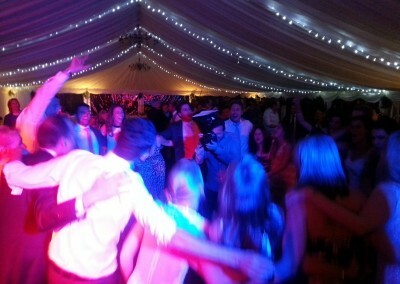 The bride was Australian, so we had lots of Australian music during their fantastic evening party. Two amazing events! Please do get in touch to find out how we can help you celebrate your wedding in historical Winchester.